The accident which occurred during Apollo 13's intended trip to the Moon took place in the spacecraft's "Service Module." When an oxygen tank exploded, the event nearly resulted in a fatal mission. Image from a NASA document entitled Apollo 13 "Houston, we've got a problem." Online, courtesy NASA. Click on the image for a better view. Everything seemed normal as Apollo 13 made its way through space following launch on April 11, 1970. Some folks said the number "13" should never have been used in the first place. Other folks (who make decisions about such things) weren't bothered by unscientific superstitions. They used the in-sequence mission number. Jim Lovell, commander of the mission, was looking forward to his time on the moon. (The link is NASA's slow-loading exploration plan for Apollo 13.) So was Fred Haise. On the other hand, Ken Mattingly (originally slated as the third member of the crew) was still home in Houston. He'd been exposed to German measles and, seventy-two hours before launch, was replaced by Jack Swigert. Nearly fifty-six hours into the flight - at about 10:06 PM EST, on the 13th of April, 1970 - Apollo 13 was in serious trouble. (This link takes you to the official Report of the Apollo 13 Review Board. It is in PDF format and may take awhile to load.) A short in the current from fuel-cell three had disrupted the cryogenic oxygen tank power supply. Two other shorts occurred a few seconds later. Mission Control in Houston, together with Ken Mattingly, feverishly worked out a way to get the crew back to earth. It wasn't easy. The solution was complicated. 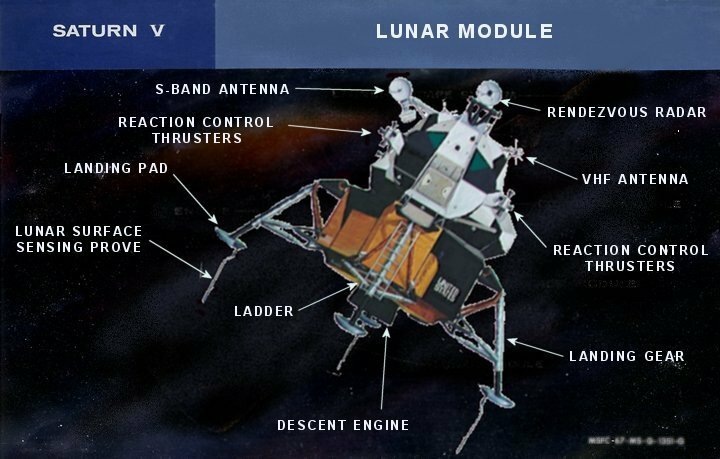 Meanwhile, with their oxygen being depleted, the crew in space had to power-down their Command Module ("Odyssey"), power-up the Lunar Module ("Aquarius"), and make sure they had working airlines. The tiny LM would not take them to the moon this trip, but it would help to save their lives. Creating a solution on the ground, flight controllers needed to develop a mission-saving system which could be duplicated in space. Simple items, such as cardboard and tape, were used to a create a "mail box" that saved the astronauts. One hour before reentry, the crew jettisoned Aquarius. Their "life boat" would not survive a reentry. I think one of the things that showed the people of the world was that even if there is a great catastrophe, good leadership and teamwork, initiative and perseverance - these things make for getting an almost certain catastrophe into a successful recovery. Returning the crew safely was one of NASA's finest moments. Sixteen years later, horrible misjudgments and a lack of effective teamwork caused one of its greatest disasters. Bos, Carole "APOLLO 13" AwesomeStories.com. Nov 01, 2002. Apr 25, 2019. Apollo 13 - "We've Had a Problem"